LONDON, July 19, 2018 /PRNewswire/ –Â Avon Products, Inc. (NYSE:AVP), a globally recognised leader in direct selling of beauty and related products, today announced the launch of Avon Life Colour, its second fragrance collaboration with world-famous designer Kenzo Takada.Â Coming in late 2018, Avon Life Colour builds on the success of the first fragrance Avon created with the acclaimed designer, which was introduced in 2016: Avon Life.Â Avon Life broke the company’s sales records by recording the highest ever sales for a fragrance in the first quarter after its launch. As the third largest player in the fragrance markets of its top 15 countries, collectively worth over $18,963 million1, Avon is increasing the power of its fragrance portfolio with this exclusive new launch.Â The company is backing the fragrance with extensive marketing, including advertising, innovative digital engagement and an activation with Kenzo Takada during Paris Fashion Week. Avon Life Colour â€“ for him and for her â€“ was created by Kenzo Takada together with two of the world’s best master perfumers from Firmenich, Frank Voelkl and Olivier Cresp.Â It’s inspired by the joie de vivre and irreverent personality ofÂ the legendary fashion designer who became one of the first Japanese fashion designers to succeed in the Parisian fashion industry. AvonÂ is the Company that for 130 years has proudly stood for beauty, innovation, optimism and, above all, for women.Â AvonÂ products include well-recognized and beloved brands such as ANEW, Avon Color, Avon Care, Skin-So-Soft, and Advance Techniques sold through approximately 6 million active independent Avon Sales Representatives. Learn more aboutÂ AvonÂ and its products at www.avoncompany.com. 1Â Based on 2017 Euromonitor data. The EU is set for crunch talks with the Trump administration over possible tariffs on automobiles made in Europe. Officials are preparing for the worst and readying a list of retaliatory tariffs should they fail to reach an agreement with Trump. “If the US would impose these car tariffs that would be very unfortunate but we are preparing together with our member states a list of rebalancing measures as well,” the EU’s trade chief said on Thursday. European Union officials are preparing for the worst ahead of talks with the US about the future of trade next week. Trump and his administration are considering tariffs of as much as 20% on European automobiles imported into the US. EU officials are readying a list of retaliatory tariffs to hit the US with should the two sides fail to reach an agreement. Senior EU officials, including European Commission president Jean Claude Juncker, are set to fly to Washington next week to discuss trade with the administration, with the aim of persuading Trump not to levy punitive tariffs on European automobiles. However, the EU is ready to hit back if he cannot be persuaded. “The aim of President Juncker’s visit is to try to establish a good relation, try to see how we can de-escalate the situation and avoid it from going further and see if there is a forum where we can discuss these issues,” Cecilia Malmstrom, the EU’s trade chief, said at a press conference on Thursday. “If the US would impose these car tariffs that would be very unfortunate but we are preparing together with our member states a list of rebalancing measures as well,” she added. According to an EU source cited by Bloomberg, any retaliatory tariffs would be ready immediately. Bloomberg also reported that President Juncker will put two separate plans on the table during the talks to try and stop any further escalation of the trade war. The first plan is a so-called plurilateral deal, whereby tariffs on autos and auto parts will be reduced by all major auto-exporting countries. Second, Juncker will propose a “limited” free-trade agreement between the EU and US. The US Commerce Department is investigating auto imports, and Trump has previously threatened large tariffs on imported cars. Earlier this week, Trump said he was ready to impose a “tremendous retribution” against the EU. “We said if we don’t negotiate something fair, then we have tremendous retribution, which we don’t want to use, but we have tremendous powers,” Trump said in a cabinet meeting. “Including cars — cars is the big one. And you know what we’re talking about with respect to cars and tariffs on cars,” he added. Many European automakers already have production plants in the USA. BMW and Mercedes both produce cars on large scale in the USA. Mercedes employs 4,000 people at its production plant in Alabama, while BMW’s plant in Spartanburg, South Carolina makes close to 2,000 cars per day. Almost every major auto manufacturer, from foreign companies like Hyundai to American brands like GM and Ford, has submitted comments to the Commerce Department warning about the possible effect of tariffs on US auto workers and consumers. NEW YORK, JulyÂ 19, 2018 /PRNewswire/ –Â Resonance Consultancy, leading global advisors in real estate, tourism, and economic development for countries, cities and communities, is pleased to announce their place branding work for Irongate, the developer of Amanvari, as the prestigious hospitality brand opens its first destination in Mexico. As leading advisors in real estate, tourism and economic development for three decades, Resonance combines business strategy and marketing creativity to shape the future of communities, cities and countries. Working in partnership with developers, planners, architects, DMOs, economic development agencies and others, Resonance has completed more than 100 visioning, strategy, planning, policy, public relations and branding projects in more than 70 countries. To learn more about Resonance and their services, please visit ResonanceCo.com. TORONTO, July 18, 2018 /PRNewswire/ — A randomized controlled clinical trial focused on weaning patients off opioids has licensed “Manage My Pain“, an app-based chronic pain management and monitoring tool.Â The 3-year multi-site trial will examine the effectiveness of the Transitional Pain Service Program (TPSP) at 5 Ontario hospitals and integrate “Manage My Pain” alongside a variety of methods to support patients to manage their pain and wean off opioids in the months after major surgery. After major surgery, patients are at-risk of developing chronic post-surgical pain (CPSP) and using opioids persistently to manage their pain. The Toronto General Hospital created the Transitional Pain Service Program to deliver innovative treatment aimed at reducing the incidence and severity of CPSP, disability, and enabling safe opioid prescribing / weaning after major surgery. It the world’s first multi-disciplinary program focused on post-surgical pain management and includes physician-guided opioid and non-opioid pharmacotherapy and tapering, clinical psychology services, pain education, and the Manage My Pain application. The 3-year project is funded by the Health Services Research Fund of the Ontario Ministry of Health of Long-Term Care. The clinical trial will include pain clinics based out of Toronto General Hospital, Toronto Western Hospital, Hamilton Health Sciences, Rouge Valley Centenary Hospital, and the Thunder Bay Regional Health Sciences Centre. ManagingLife is a privately held Corporation based in Toronto, Canada that uses patient engagement and analytics to help chronic pain sufferers and practitioners learn more about their condition and better communicate with each other.Â ManagingLife’s app-based tool, “Manage My Pain” is used by over 30,000 chronic pain sufferers from over 130 countries to record their pain, function, and medication consumption. ManagingLife works with hospitals, clinical trials, and insurers to help healthcare professionals better measure, monitor, and manage their patients’ pain and medications. Building on the scientific excellence and strategic value provided by Ontario-based researchers, the HSRF funds policy relevant research across the province.Â The HSRF is based on the Ministry of Health and Long-Term Care health system research strategy, established in 2008 and updated in 2012. Premier developer, Emaar announced a landmark development that will strengthen UAE-China relations, coinciding with the historic visit of President Xi Jinping of China to the UAE. 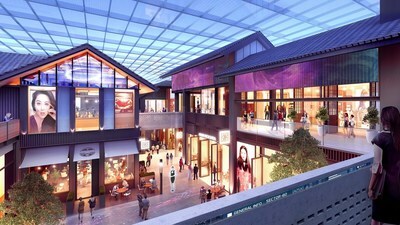 To honour Chinese expatriates in the UAE and bolster business ties with China, Emaar will develop the Middle East’s largest Chinatown within the retail district of Dubai Creek Harbour, its six-square-kilometre mega-development, only 10 minutes from Dubai International Airport and the iconic Burj Khalifa. The retail precinct will occupy a central location within Dubai Creek Harbour – to be home to the world’s new icon, Dubai Creek Tower, and encompass vibrant lifestyle elements. Set by the Dubai Creek waterway, elegantly designed homes in Dubai Creek Harbour will offer spectacular views of the city’s dramatic skyline, the waterfront and the Ras Al Khor Wildlife Sanctuary. Further strengthening Emaar’s outreach to China, the company also announced that it will open three dedicated pavilions in China – Beijing, Shanghai and Guangzhou, all cities served by direct daily flights to Dubai on Emirates Airline. The three offices will promote tourism, education, trading and investment between UAE and China. In a third announcement, Emaar will expand its premium luxury hotel and serviced residences brand, Address Hotels + Resorts, to China. Discussions are ongoing to develop and operate Address branded hotels in key cities in the country, given the familiarity that the brand enjoys among Chinese tourists. Emaar’s expansion to China complements the ‘One Belt, One Road’ initiative, in which the UAE will have a significant part to play. China is the fourth largest visitor source market for Dubai, with tourist and Emaar’s hotels are among the most-preferred by Chinese visitors, given their central location and effortless access to lifestyle destinations such as The Dubai Mall. Emaar’s Downtown Dubai and its attractions including Burj Khalifa, The Dubai Mall and The Dubai Fountain are popular destinations for Chinese visitors.